Leading Cheshire law firm SAS Daniels LLP, is urging businesses, which used RBS for business banking between 2008 and 2013, to check if they could be entitled to RBS compensation as a deadline for complaints is set. Despite only 1,230 complaints having been lodged from an estimated 16,000 eligible businesses and just £10 million paid in compensation from a £400 million fund, RBS has just announced that a deadline of 22nd October 2018, has been set for new complaints. Businesses that could be eligible, will have been placed into the RBS ‘Global Restructuring Group’ (GRG) before 2013. However, the firm warns that some businesses won’t have been told they were placed into the GRG unit. The GRG scandal began in 2013 when an investigation was launched by the Financial Conduct Authority into the RBS business support unit created in 2008 (following the release of a report by Dr Lawrence Tomlinson) GRG was originally created to provide assistance to struggling SMEs. The investigation found that some businesses in RBS’ GRG unit were subjected to inappropriate treatment with the bank prioritising price increases and debt reduction over the long term viability of customers. Following the revelations an RBS compensation scheme was set up in late 2016 for those businesses affected by being in the GRG unit. 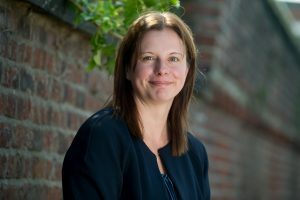 Anna Barnes, Partner and Head of the Dispute Resolution team at SAS Daniels LLP, said: “A number of businesses may not even be aware that they were in the GRG unit so business customers who were with RBS between 2008 and 2013 should check. There is an automatic refund scheme in place which means RBS will proactively contact some customers who are eligible for refunds. However this only covers the refund of certain prescribed fees. Businesses can be eligible for further compensation but must take action and apply for this. Any business, which was a customer of RBS between 2008 and 2013, could have been within the GRG unit. This article has been published in BusinessAdvice.co.uk, Entirely North West and Business UpNorth. Further information on the history of the RBS GRG Unit Scandal can be read here. For more information on RBS compensation contact Anna Barnes in the Dispute Resolution team at SAS Daniels or call 0161 475 7655.